Fus. John Ramsay (aka John Ramensky real name Yonas Ramanauckas), formerly of the Royal Fusiliers City of London Regiment, served with No.6 Troop of No.6 Commando from, at least, April 1945. Fus. 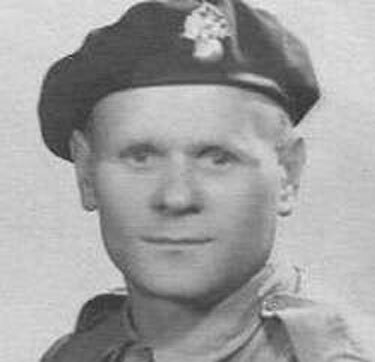 John Ramsay was a safe-cracker who  it was thought - had been released from prison in January 1943 to serve with the Commandos as an explosives instructor in the dealing of captured German safes in secret locations. He later served with Ian Fleming’s top secret 34 Section of No.30 Commando Assault Unit. Following his departure from the Commandos it is believed that Fus. John Ramsay returned to a life of crime and died in Perth prison (Scotland) on 4th November 1972.